Whether your focus is to find recruits or to target a specific part of your member base there may come a time when you need to quickly engage in a short term, specialized marketing campaign. We understand the relationship between print and digital media and how dependant they can sometimes be on the supporting call center. Our call center operates in both the AM & PM hours and we have developed a flexible staffing plan that allows us to quickly respond to your one-off campaigns. With support for inbound calls, social media monitoring, email, text and chat, we stand ready to pull together a specialize group of contact center operators that can receive specific training in a new short term campaign. Having supported past campaigns for multiple military branches aimed at securing leads for specific programs (such as Health Professionals, Chaplains and Pilots) we are very familiar with the dynamics of specialized campaigns. 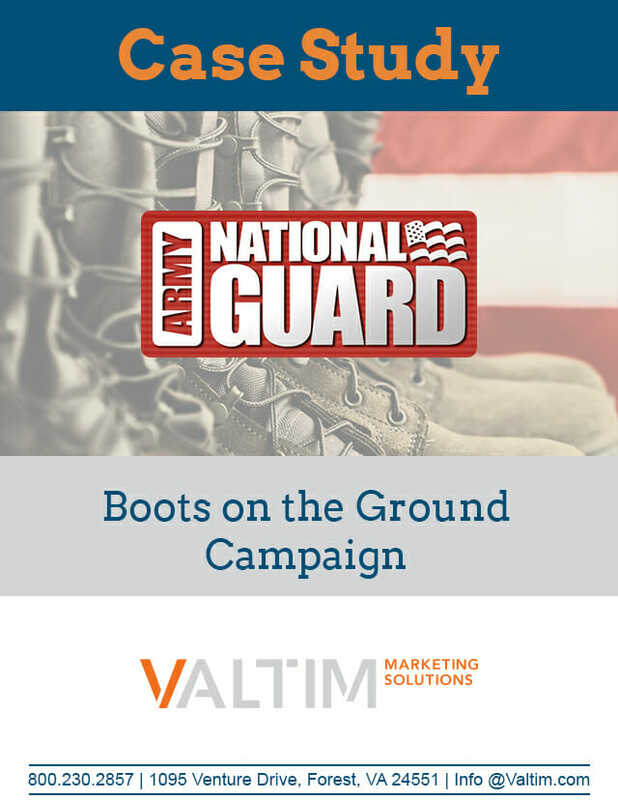 In 2014, we were enlisted as a high-level support partner to assist with a 60 day recruitment campaign for the Army National Guard. We had less than 3 weeks to assemble a multi touch campaign consisting of direct mail, email, web, and inbound/outbound responses. Our goals were to leverage the skills of 42 highly trained Contact Center agents to assess if prospects were qualified, potentially qualified, or disqualified and to answer any basic questions concerning this campaign. We were tasked to funnel pre-screened “warm” leads to local recruiters, either by direct conference call or by providing local contact information. By the end of the campaign we had 68,231 telephone conversations, we interviewed 25,091 individuals, qualified 12,745 prospects and introduced 9,559 prospects to live local recruiter. Over 36,000 calls (84%) were answered in 20 seconds or less.